degree contact angle to attain the effect of equal load capacity in all mono block provide more space for the larger rolling elements, enhance the load and moment capacity. 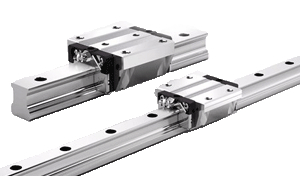 The steel balls of ST Miniature Stroke Slide series roll on the rail without re-circulation; such brings an excellent running behavior, smoothness, low fiction, and high accuracy. Without vibration.